The most effective military training uses environments that look and feel true to what will exist in real-life military situations. Creating these training settings can be a bit tricky, since training often takes place thousands of miles away from active duty. In addition, military training must remain affordable as well as functional. Modified shipping containers meet all of these requirements, and for that reason the United States military has used Falcon Containers to create realistic military training sites. Modified shipping containers can be an essential part of military training, allowing for the creation of remote camps as well as the creation of realistic training environments. 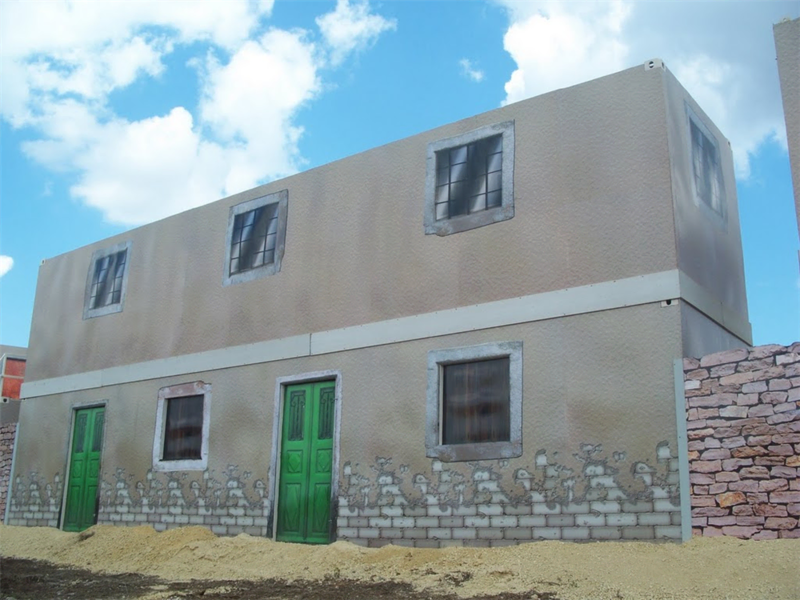 One factor which can make the training more realistic is the use of facades—elaborate cityscapes painted onto shipping containers, which mimic the structures found in international cities or rural villages. In addition, the facades can change from building to building, providing realistically different patterns of windows and doors. Together, these features can transform a military training location in the U.S. into a foreign street. While the above represents common examples of facade options, the fact is that the facades are completely customizable, meaning that they can be redesigned for the military's changing needs. Shipping containers are extremely versatile. Today’s training container may become tomorrow’s storage unit or administrative building. All of these features help to create an environment that is conducive to training, allowing for the execution of complex military drills such as IED training. Questions? Just reach out to us at 877-704-0177.